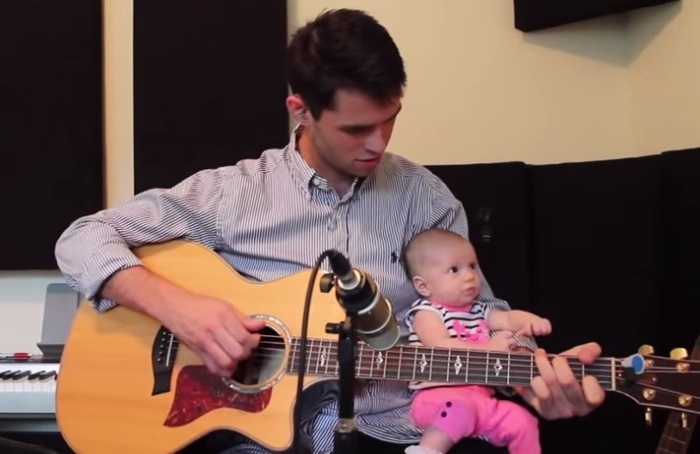 This Dad Makes a Beautiful Song for His Little Baby to Show Her Off to the World – So Amazing! A beautiful newborn, Summer Noel, gets a show put on and it's all about her. He gives her advice for the future and hopes that she will watch this when she grows up. This father and her daughter have an incredible bond that is shown to be strong just by watching this video. Mommy even gets in the video from time to time holding Summer Noel. This precious little girl will have you hooked from start to finish.